Whether you are new to North Texas or have called this beautiful place home for a long time, we’d like to welcome you and your family to Distinguished Dental. Dr. McIntosh would love to be the dentist in Keller that you depend on for all of your oral health care needs. 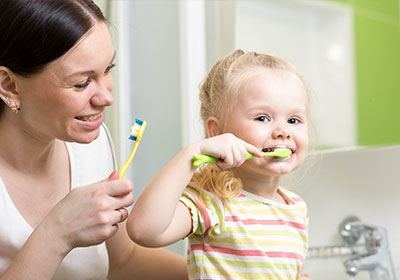 We offer a comprehensive menu of services that makes taking care your family’s smiles easy and convenient. Call our office now to schedule an appointment! Distinguished Dental is in the newly expanded Golden Triangle at 5801 Golden Triangle Boulevard, Suite 101 in Keller, TX. Our office is at the corner of Golden Triangle and 377, right next door to the 24 Hour Fitness. We’re also across the street from Sam’s Club in Keller. So an appointment at our office is on your way to workout or shopping and errand running. If you are experiencing a dental emergency, then call us immediately at 817-337-8300. A member of the staff will be able to help and schedule a same-day appointment if necessary. If you or a loved one is experiencing excessive bleeding or you suspect a broken jaw, then please proceed to your nearest hospital emergency room. Dr. Sheri McIntosh is a native of North Texas and is happy to be practicing dentistry close to her roots. She earned her Doctor of Dental Surgery degree in 2004 from the University of Texas Health Science Center at San Antonio. 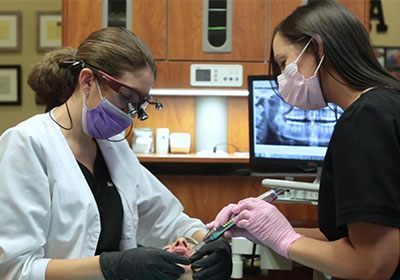 She initially worked as an associate dentist in Houston and another practice in North Texas before opening her own practice in Keller in 2010. Dr. McIntosh is an active member of the American Dental Association, the Texas Dental Association, the North Texas Dental Society, and the Academy of General Dentistry. Dr. McIntosh and the entire team at Distinguished Dental are dedicated to providing you with the care you need to have a smile that is healthy and attractive. We start with a comprehensive dental checkup that includes a cleaning and thorough examination of your teeth and gums. If a dental problem is found, then we have the restorative dentistry necessary to rebuild or replace a tooth. There is also periodontal care to ensure the health and strength of gum tissue that supports your teeth. When you’re ready to boost the appearance of your smile, we offer several cosmetic dentistry services as well as adult orthodontic treatment with Invisalign or Six Month Smiles. Call Distinguished Dental today to schedule an appointment for yourself or another member of the family! We are here to serve Keller and the surrounding communities.